We Buy Houses - Any Location, Condition,or Price! Call 833-4-RISE-UP or 833-474-7387 today! We Buy Houses. 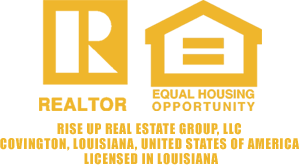 We’re a local real estate brokerage and solutions company that focuses on helping customers and clients just like you overcome unique challenges. We work with many people like you each year. We’re up for speaking with you to learn more about your situation. We will take great care of you as we explore ways we can work together. We will help you achieve your real estate goals. As you already know… We Buy Houses. We will serve you as a direct buyer. When we buy your house, we will not be acting as your real estate agent or broker. This means you will not pay real estate commissions. We want to make selling your house a simple and easy process. We will be flexible and close on your timeline. We will buy your property as is. When you work with us, you will have peace of mind knowing your property is sold. We are excited about the opportunity to work with you. We Buy Houses regardless of the location, condition, price, or situation. We would love to help you out. We focus on making a positive impact on the lives of our customers and clients as well as improving neighborhoods where we do business. Of course, we can serve as your real estate agent or broker if you prefer that option. In that scenario, we would represent you as your agent, list your property for sale, and help you find the buyer who you think is best for you. We look forward to meeting you and working together to help you achieve your real estate goals. Thank you for your trust. Rise Up!